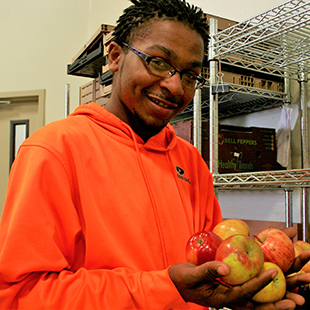 At the Great Plains Food Bank, we believe that no one should go hungry. Each dollar or food item donated or volunteer hours generously given has an incredible impact on the more than 97,000 we serve each year. Here are just a few of their stories. Debra Way had a life she was proud of. Working as a general manager at a restaurant, her future husband and her were planning the rest of their lives together when tough times struck. She quickly found herself in need of help in the midst of a battle with chronic depression and suicide. Food assistance has provided her a means to get by. A widowed 81-year-old grandmother and great grandmother, Rose Kurst paints a picture that is all too common for many North Dakota seniors. With a monthly Social Security check as her main source of income, she is often forced to make difficult choices between paying for food and paying for other necessities. 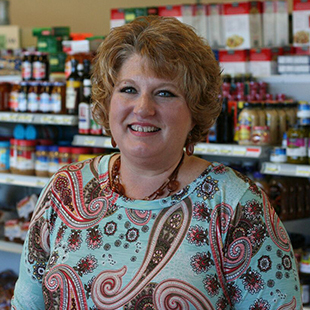 Her local food pantry helps her in difficult times. "Running out of things constantly..."
Kristine Christensen says her two adopted grandsons would eat around the clock if she would let them. The 53-year-old has been on disability since 2004 and is constantly running out of food items for the household. 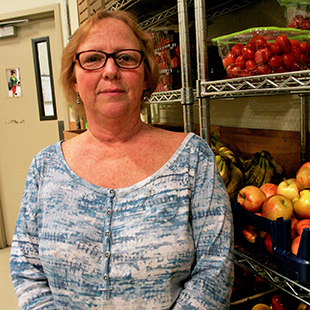 Without the assistance from her local food pantry, she states simply, "we would be hungry." 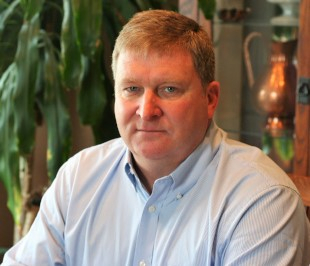 Medical issues currently prevent William Andrews, commonly known as "Willy," from working. Money became tight for his family of four when he suffered a stroke. 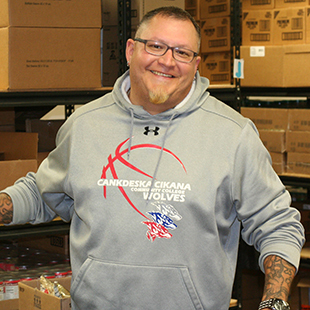 He found food assistance through the Great Plains Food Bank partner agency network that has helped to fill a critical void. Kari Thomas is sometimes able to go a few months between visits to her local food pantry, but other months their cupboards get bare and are in need of help. 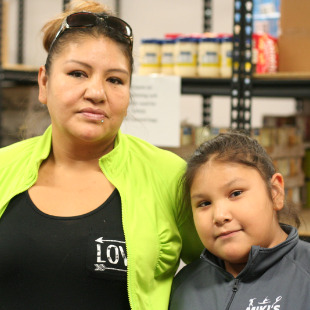 When the months come when the cupboards become bare, Kari has found useful food assistance from a pair of Great Plains Food Bank programs and services - a partner food pantry and BackPack Program. How far can $20 go? 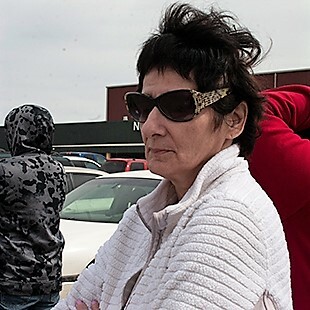 Marsha Bachman arrived at a Great Plains Food Bank Pop-up Perishable Food Program distribution with a $20 bill. What food she wasn't able to collect at the distribution the $20 would need to cover when she went to the grocery story later. 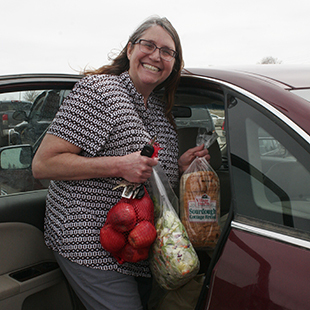 The food program allowed Marsha to make her grocery money stretch farther. Xavier Harvey was living in South Carolina when he was the victim of gun violence and needed to relocate. 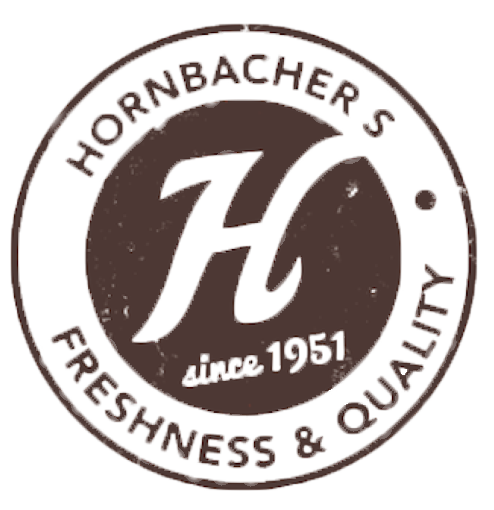 He came to Fargo where he settled down with a wife and three children. With a full household, the family struggles from time to time to come up with enough food. The Emergency Food Pantry, a partner agency of the Great Plains Food Bank, has provided a supplement when the family falls short. Noella Thomas' grandmother passed down to her the tradition of hosting a large family dinner each Sunday night. It's important to her she continue the tradition, but there are months when it takes a toll on the family's food supply. 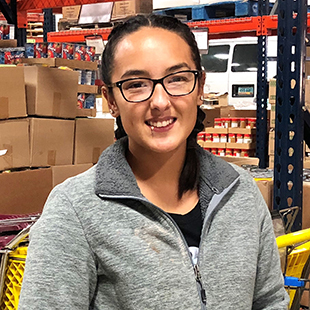 Noella has found benefits from a Great Plains Food Bank partner agency to fill the void and allow her to continue a tradition. 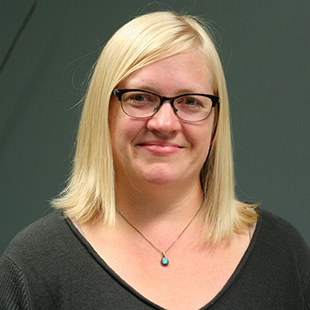 "They are going to be ecstatic..."
Julie Herbel works as a librarian at the New Town Public Library. She noticed many children were coming in hungry after school each day and wished to do something about it. But she struggled to find the healthy food options she desired. 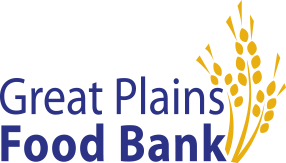 The Great Plains Food Bank Pop-up Perishable Food Program has provided those resources and has helped fill a critical need for hungry children in New Town. 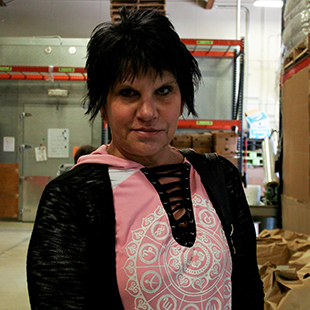 Life hasn't always been as steady as it is right now for Barbara Villella and due to a series of unfortunate events in her past, she knows that she is always one paycheck away from needing food assistance again. She now spends a lot of her time at the Prairie Roots Food Co-op advocating for healthy food options for those in need. "We're keeping a positive attitude"
Amanda Jackson knows the feeling of being homeless all too well. That feeling is compounded when attempting to offer a life of opportunity for her nine-year-old daughter, who struggles with Attention Deficit Hyperactivity Disorder (ADHD). 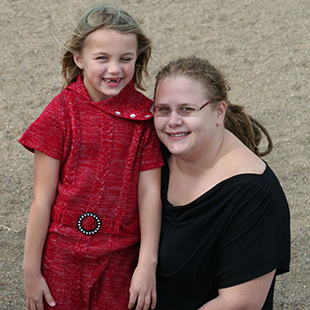 But despite struggles that would break a lot of families, Amanda and her daughter, Kylen, remain positive saying simply, "what else can you do?" Each weekday you can find Arge Laddusaw volunteering at the Emergency Food Pantry in Fargo, a partner agency of the Great Plains Food Bank. 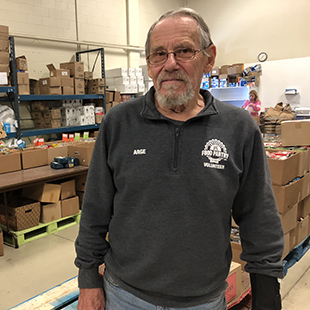 Forced into retirement due to health reasons and with a Social Security and SNAP payment that only takes him so far, Arge also visits the Emergency Food Pantry to receive needed food assistance. Spending time volunteering is his way of giving back. 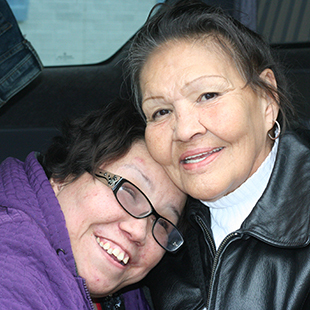 Donna Ricker has been the primary caregiver for her daughter, Jodahna, who is stricken with spastic cerebral palsy, for nearly four decades. For assistance through years of difficult times, the two have utilized the Great Plains Food Bank partner agency network for help. And they remained thankful for all that they have to this day. 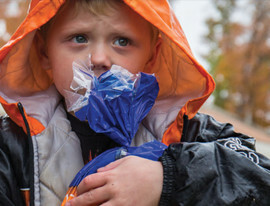 "I hate listening to my kid cry out, 'I'm hungry'"
Ashley Brager does everything she can to help her 5-year-old son with autism not cry out over hunger. There is no worse sound in the world as far as Ashley is concerned. 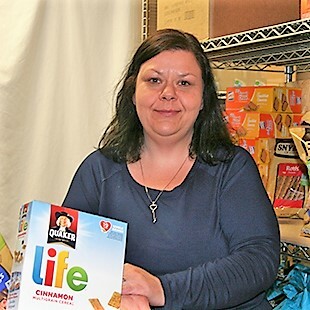 While struggling with mental health issues herself, when times are difficult she finds needed resources within a pair of Great Plains Food Bank partner food pantries to help the young family get by. 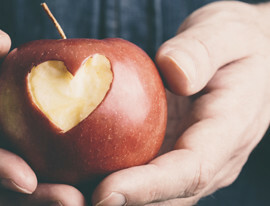 "If it weren't for food assistance, I don't know what we would do"
Due to difficult circumstances, Stephanie Ballou cares for three of her grandchildren and they are quick to understand that, "grandma doesn't have enough money right now." 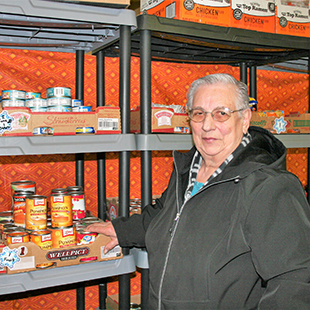 Thanks to her nearest Great Plains Food Bank partner food pantry, she is able to provide healthy food options for her grand kids. 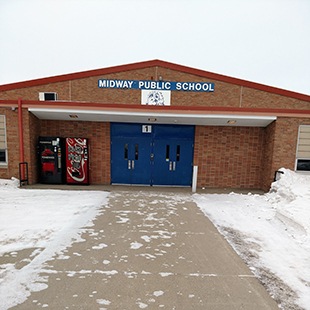 Midway Public School serves a number of rural communities in east-central North Dakota. 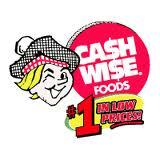 Many of its students and their families need to travel more than 20 miles to visit a grocery store. The addition of a school pantry has helped Midway fill a need for many of its students. 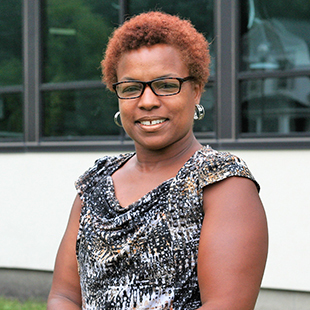 Financially, Tayla Henry was comfortable and able to provide for her two young kids. But that all changed the day her children's father moved out and the now single mom struggled with food insecurity. 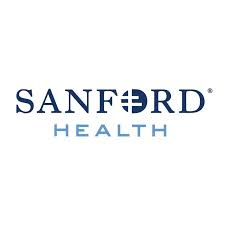 She soon found a supplement for the loss of meals at the Emergency Food Pantry in Fargo, a partner agency of the Great Plains Food Bank. 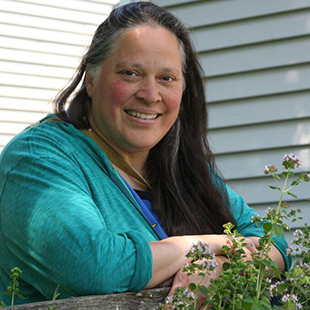 Gardening has been a part of Harka Maya Monger's life since birth in the country of Buhtan. Now the low-income family of five lives in Fargo where Harka's local community garden has allowed her to continue gardening. 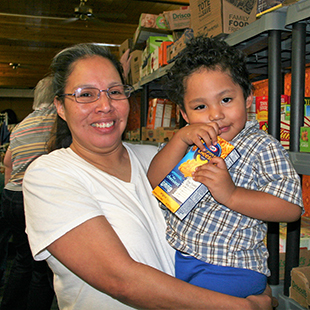 This along with assistance from a Great Plains Food Bank partner food pantry allows the family the nutrition they need. Previously homeless, Murphy has learned the importance of balancing her finances on a limited income. And even with being frugal with her budget, she still falls short at the end of some months. Food assistance through the Great Plains Food Bank partner agency network has helped her stretch her income as far as she can. A father of four, Patrick Schmid and his wife were financially stable until the demand of too many years spent in physical labor took its toll on Patrick. Following two shattered hips and other physical ailments, Patrick became unable to work and began collecting disability payments, but the loss of income became too great. 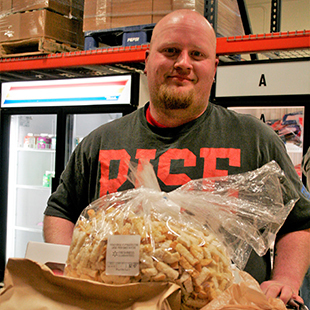 The family sought emergency food assistance while Patrick also went the extra mile in helping others. In 2017 alone, over 54,000 North Dakotans received and greatly relied on benefits from the Supplemental Nutrition Assistance Program (SNAP). Read the stories below of how the benefits have created a critical resource for seniors, veterans, families and single mothers throughout the state. 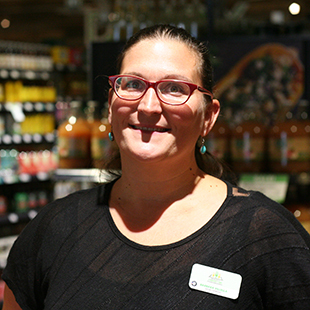 A single mother of six, Tammie Nadeau has found herself in a position with significant credit card debt without a sustainable food source. 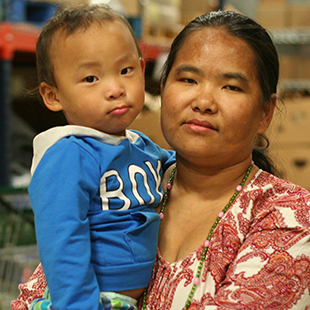 The help of SNAP allows her to supply healthy food for her family. A U.S. Army veteran, Willard Carpenter and his wife, Linda, rely greatly on the SNAP benefits they receive. 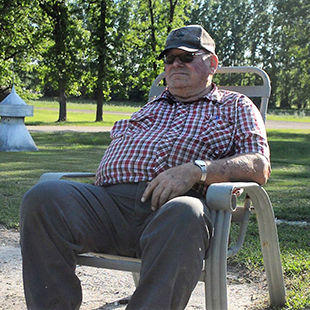 Willard lost his right arm during a factory accident more than 45 years ago, but has not slowed down his farming operation. 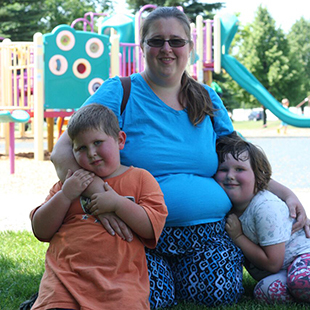 Leslie Tibbetts lives in Grand Forks with her husband, Anton, and their two young children. 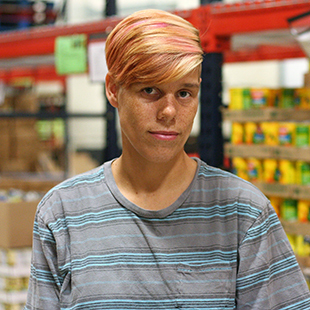 When Anton lost his job this year, SNAP benefits provided a supplement to still keep the family fed. 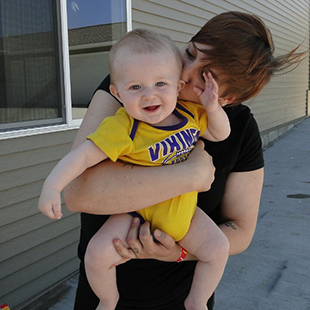 Working part-time and living in a studio apartment that was once a hotel, 26-year-old Chelsey Lang does the best that she can to support her and her young son, Emryx. Unable to pay her rent, Jodi Smith found herself homeless and with few places to turn. A 61-year-old grandmother, Smith spent time living in her vehicle and stretched her SNAP benefits as far as they would go. 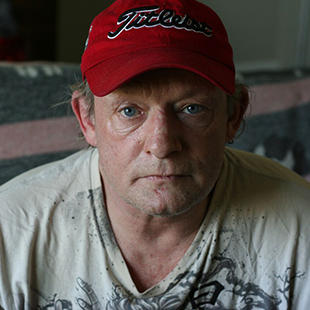 Larry Hanson, 59, suffers from epilepsy and relies on SNAP benefits to stretch his disability payments further. 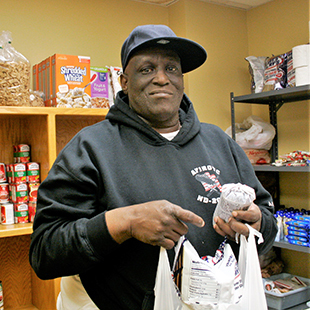 "When you have nothing, SNAP benefits really do help," he says. Formerly homeless and a logger for 27 years in the Pacific Northwest, Dennis Peck suffers from a number of medical issues that makes finding work difficult to come by. 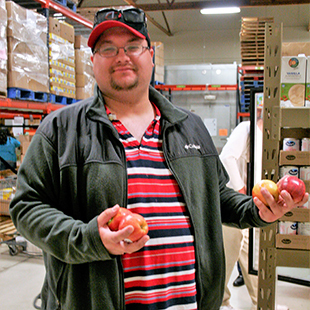 SNAP benefits help to relieve that burden and for him to eat healthy. 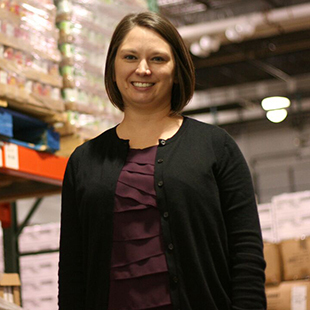 Now the director of Ending Hunger 2.0 for the Great Plains Food Bank, Melissa Sobolik received SNAP benefits during her time spent in college and each day helps fight the stigma often associated with receiving benefits. 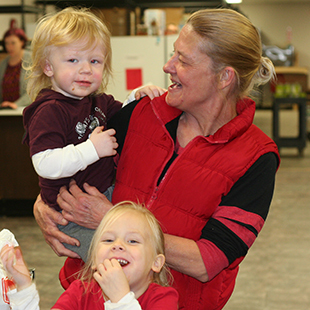 Now the food resource manager at the Great Plains Food Bank, SNAP benefits allowed Nancy Carriveau and her young family to stretch what they had as far as it could go. 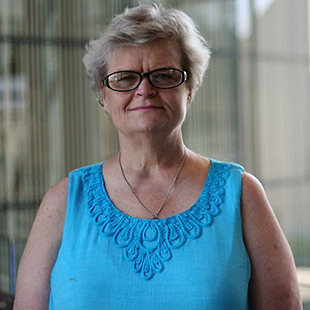 Shirley Reese remembers the difficult times she and her family faced when they struggled expecting their sixth child and how vital their SNAP benefits became. Now the manager of a grocery store in Hazelton, Reese understands the difficult situation facing many of her customers on SNAP. 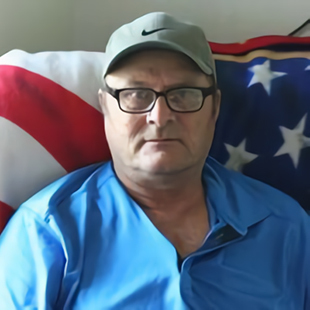 A 20-year retiree from the North Dakota Army National Guard, Steve Olson struggles to recall a time in his childhood when his family didn't receive SNAP benefits. As he put it, they offered a hand-up, and allowed him a path to now owning his own consulting company. Ricky Belgarde knows what is feels like to skip meals. Having spent the majority of his life on SNAP, the program has helped his family to survive growing up. Today, as disability prevents Ricky from working and driving, SNAP remains critically important for Ricky.